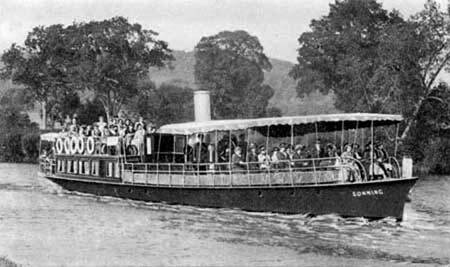 Sonning was built by Salter Brothers in 1902. 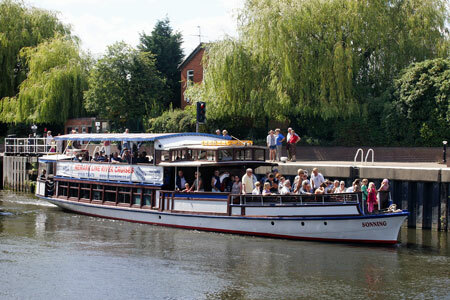 She is 85ft long and a sister of Reading, built the previous year. 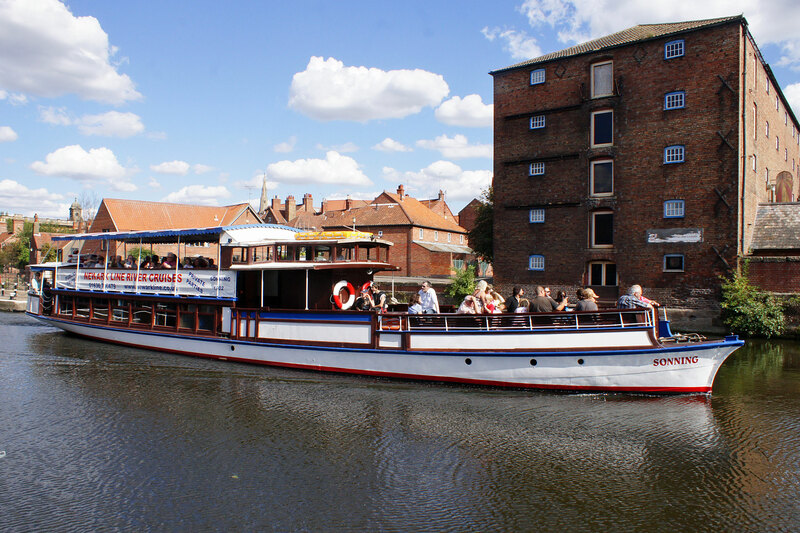 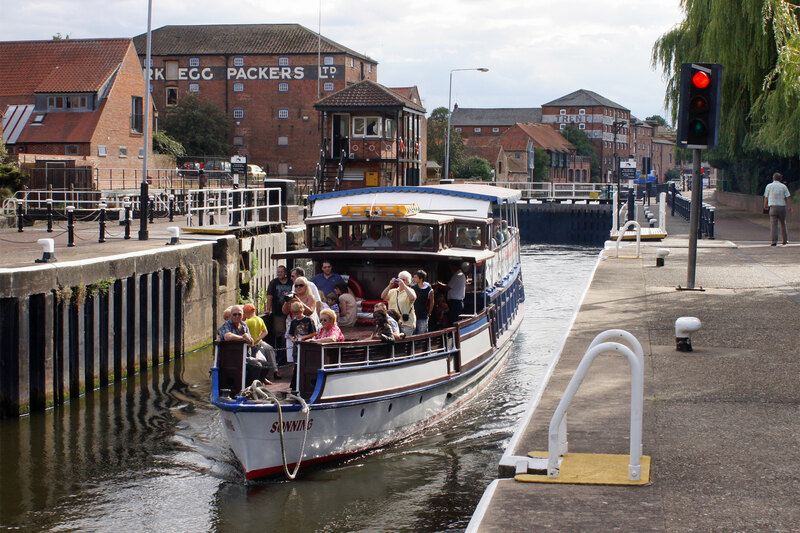 She was converted to diesel power in 1947 and sold in 1982 for use on the River Trent at Newark in Nottinghamshire. Initially operated by Green's Passenger Launches, she was running with the May Queen (1922, 80 pass) in 1985. 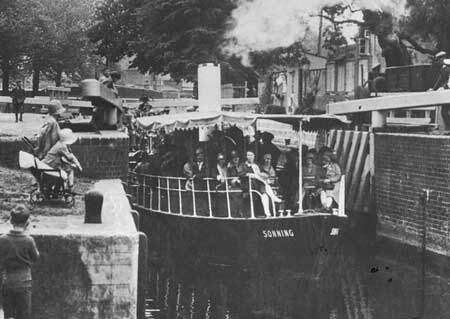 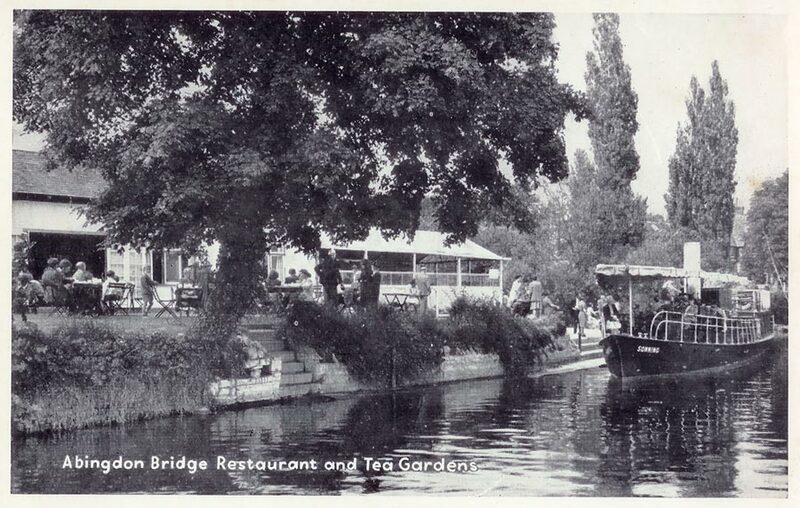 By 1987 Sonning was partnered with the Princess Katherine (ex-Kingfisher 1930, 56 pass which had worked on the Rochdale Canal for Robinson's Hire Cruisers). 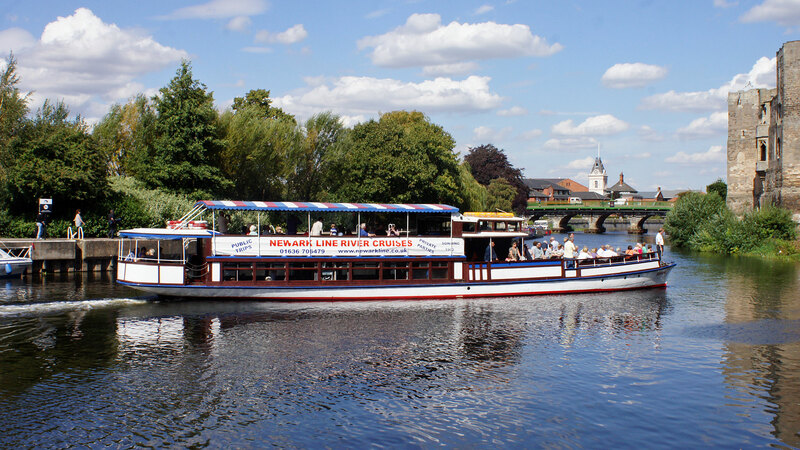 In 1991 the company was marketed as Newark Line. 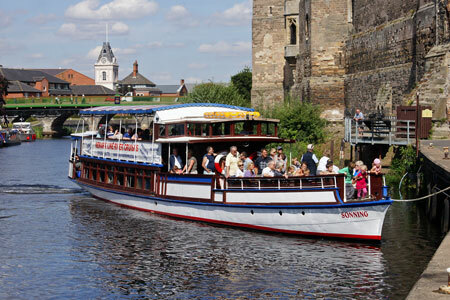 Princess Katherine was sold by 1993 but River Prince (1936, 66 pass) had joined in 1995, having previously run with Lock & Castle Line at Newark for E&O Purver. 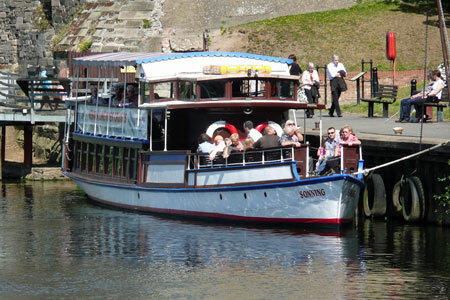 River Prince had been disposed of by 2005, later running at Bristol as River Princess. 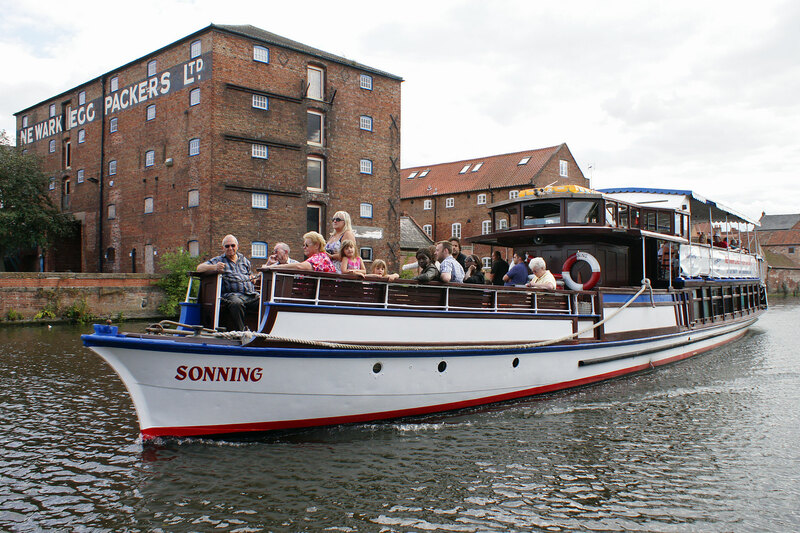 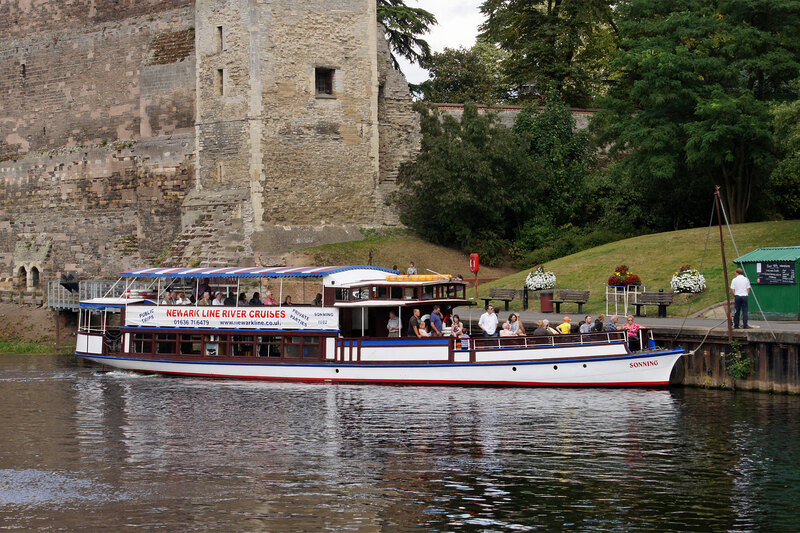 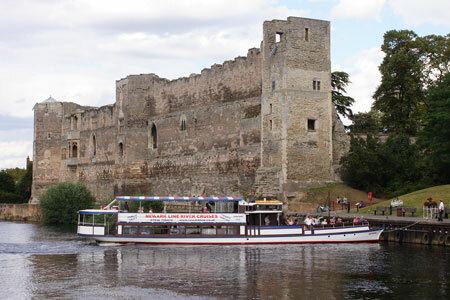 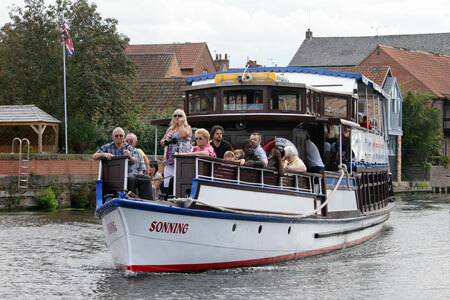 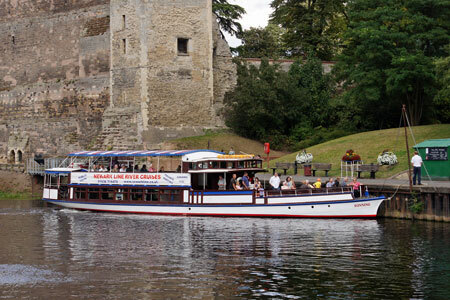 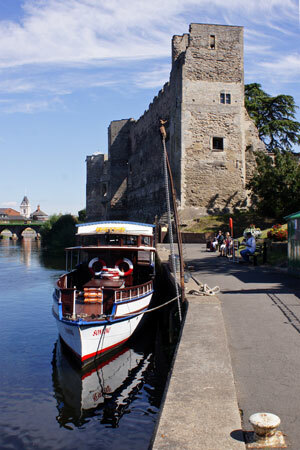 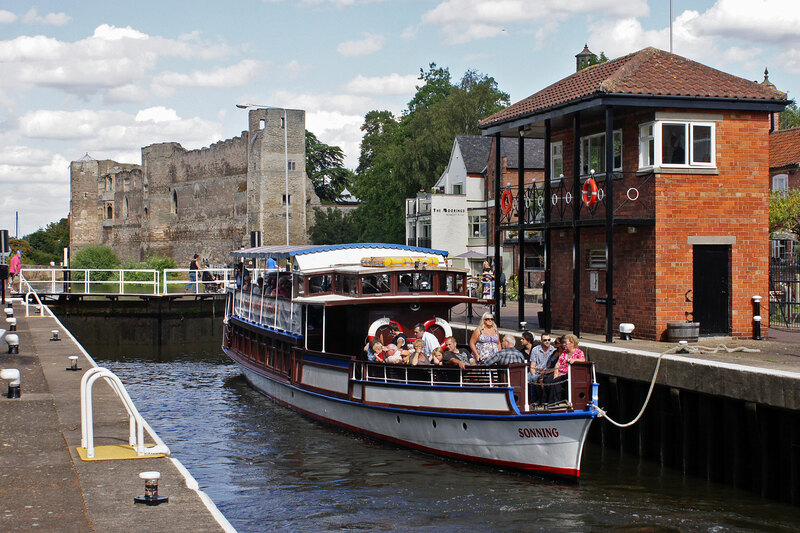 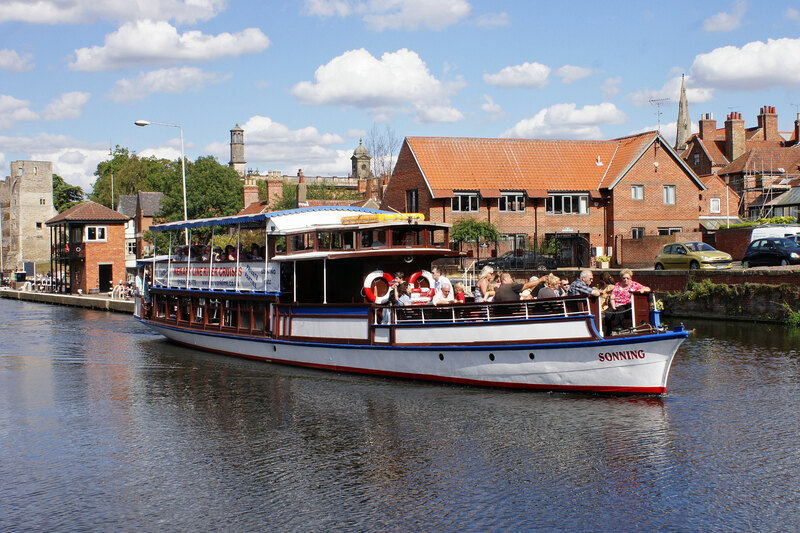 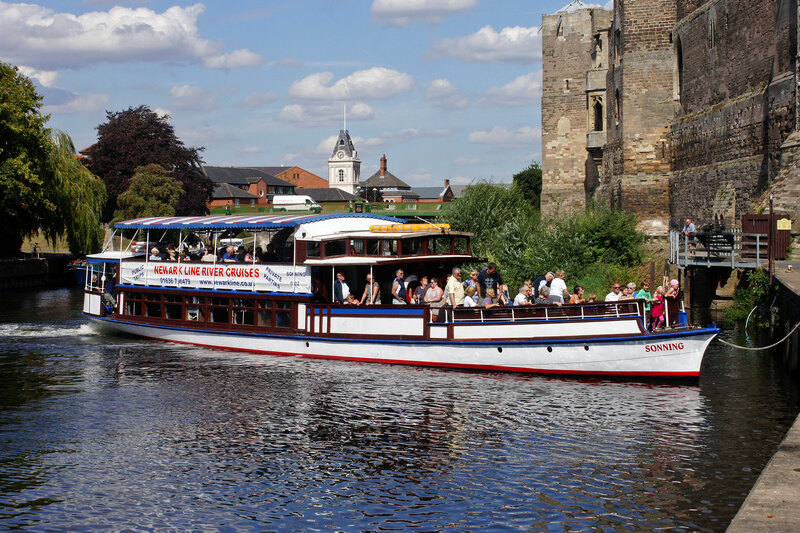 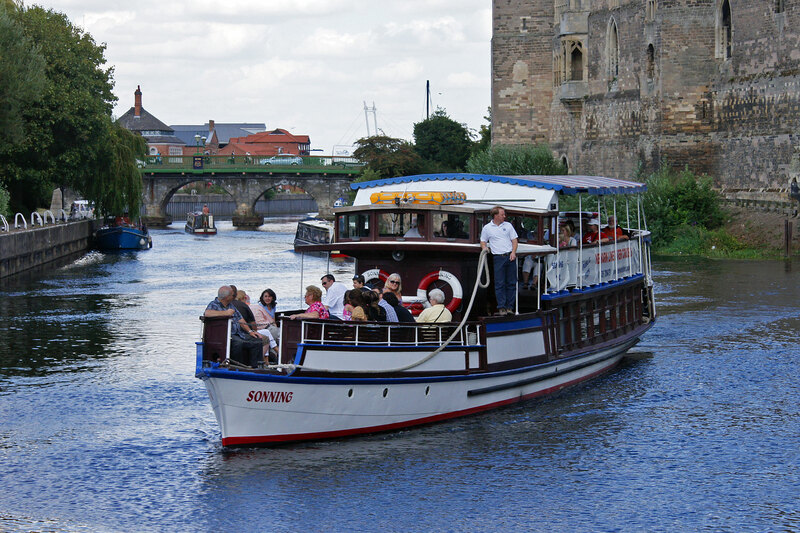 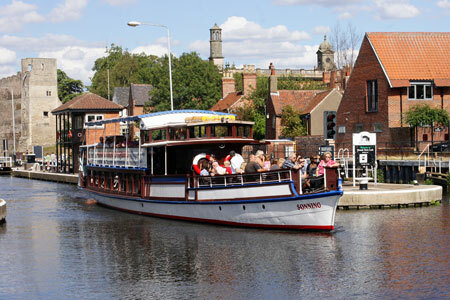 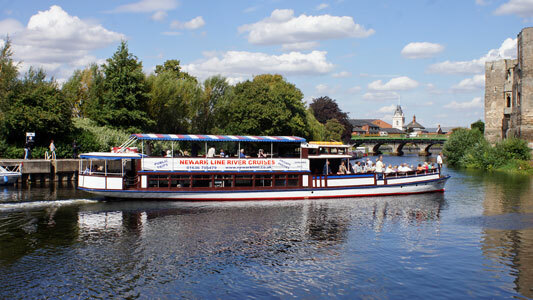 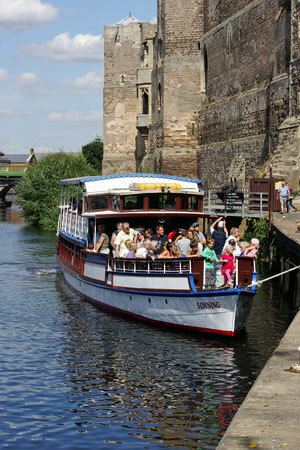 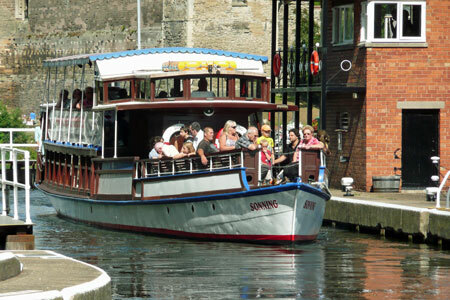 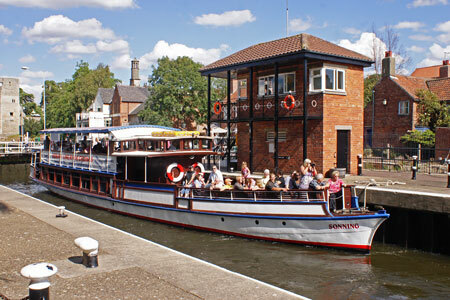 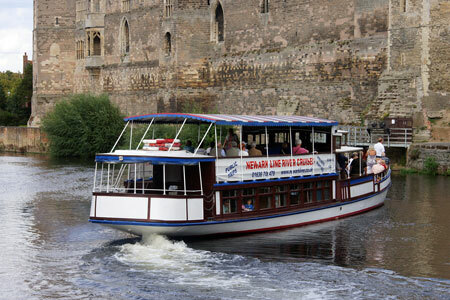 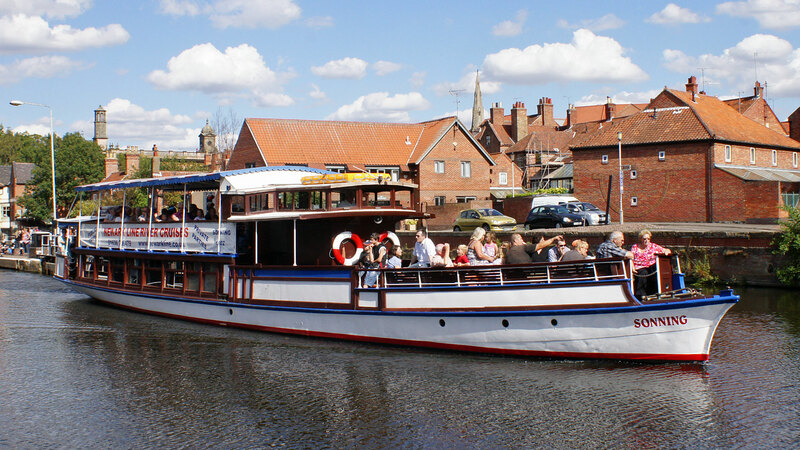 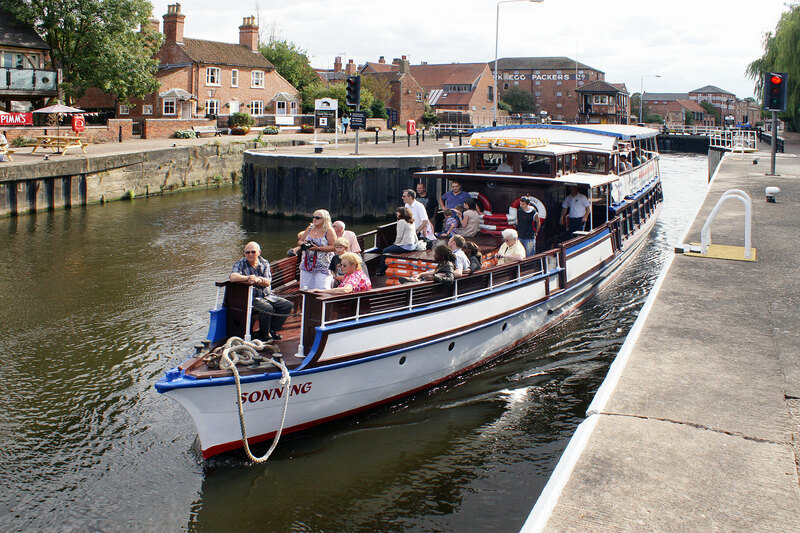 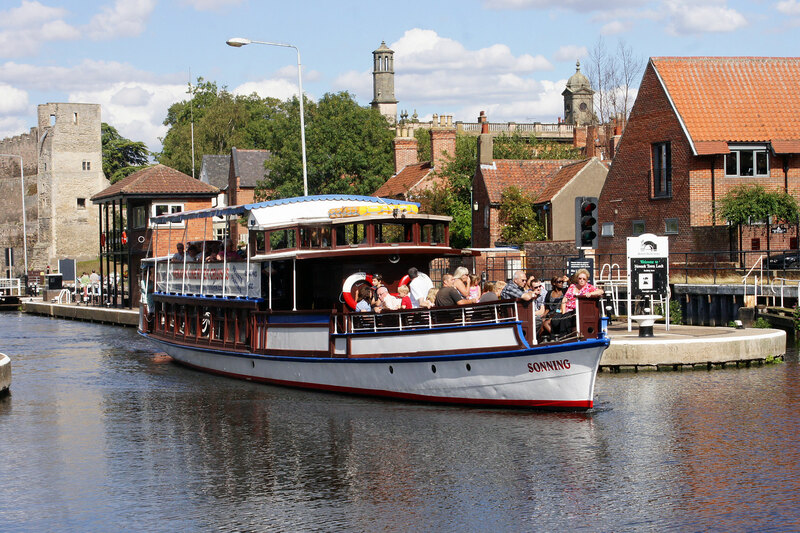 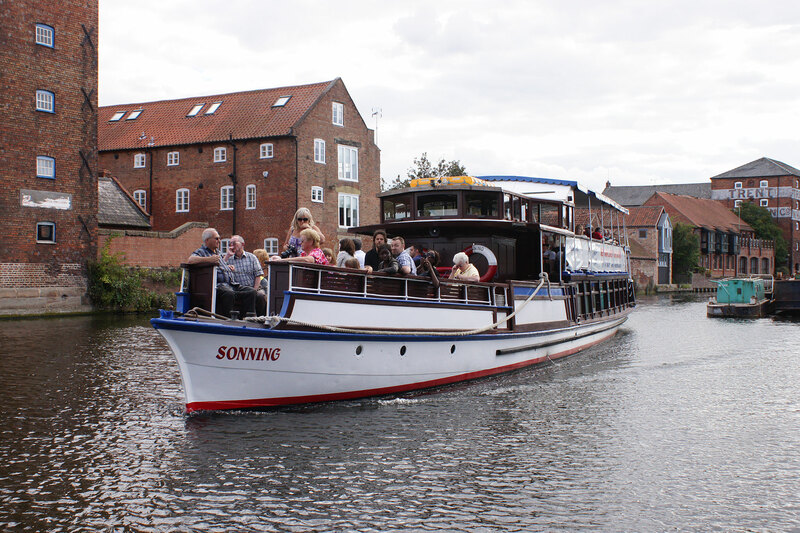 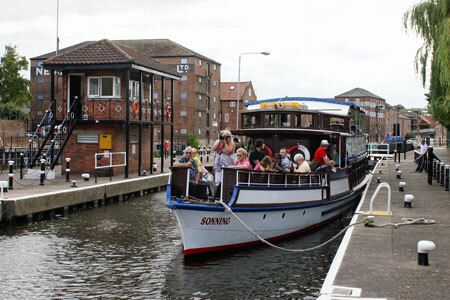 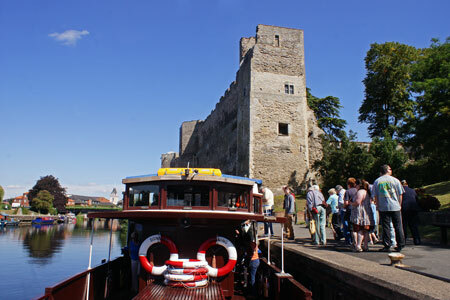 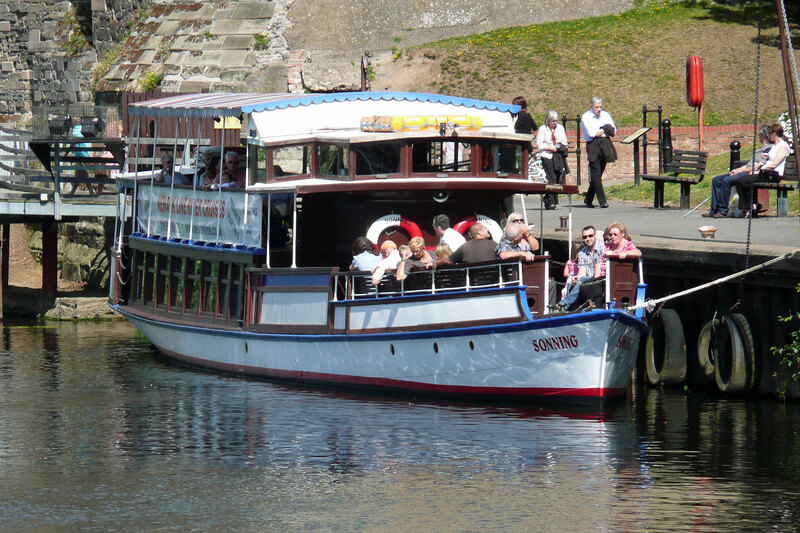 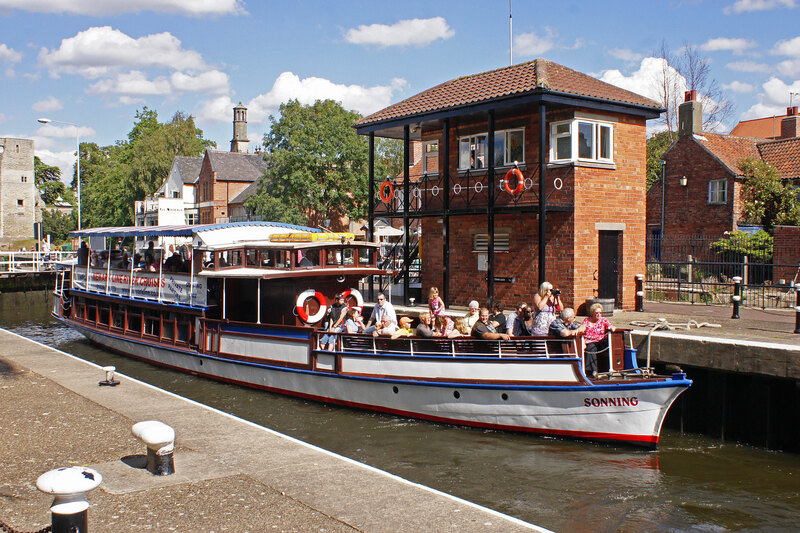 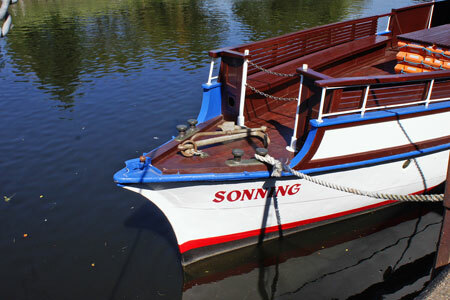 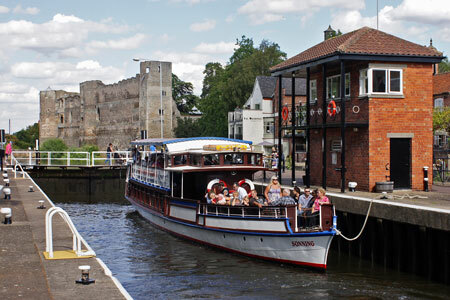 In 2011 Sonning is owned by Ken & Chris Butler operating as Newark Line River Cruises. 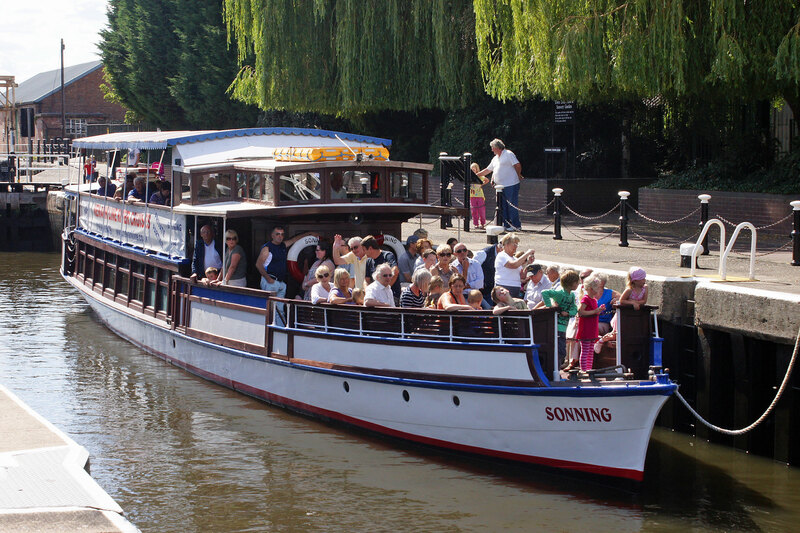 Sonning runs 90minute public cruises on Wednesday Market Days, weekends and Bank Holidays at 1pm and 3pm. 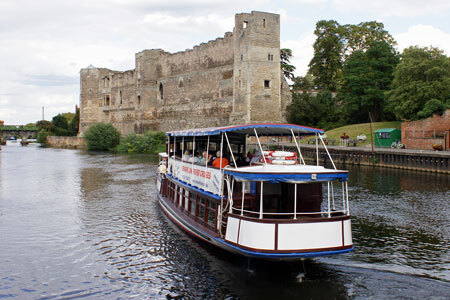 Additional weekday cruises run in the school holidays. 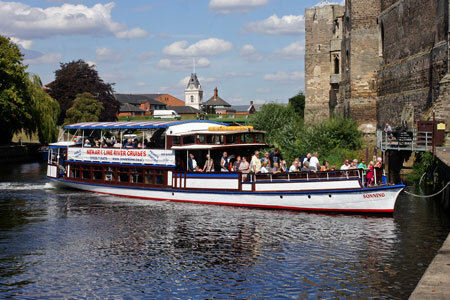 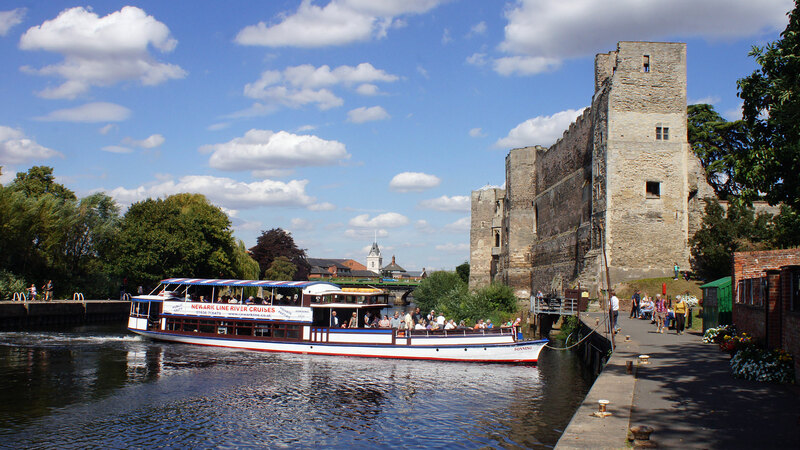 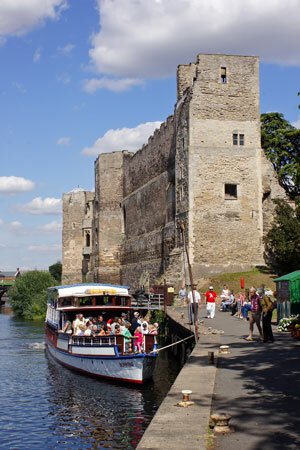 She sails from near the Newark Town Lock, adjacent to Newark Castle. 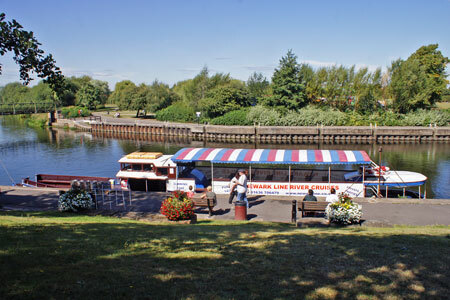 Phone 01636 706479 to check services before travelling any distance. Sonning also runs evening jazz cruises (to be booked in advance) and is available for private hire when not running scheduled cruises.